In the world of golf course architecture, Ellis Maples may not be as prolific or renowned as fellow North Carolinians Donald Ross or Tom Fazio. But Maples is unquestionably the centerpiece of North Carolina’s first family of golf course design, construction and maintenance. Maples was born in Pinehurst in 1909. His father, Frank, was a longtime construction superintendent for Ross, and served as Pinehurst’s director of grounds and maintenance until his death in 1949. Frank supervised the construction of four golf courses at Pinehurst Country Club — including No. 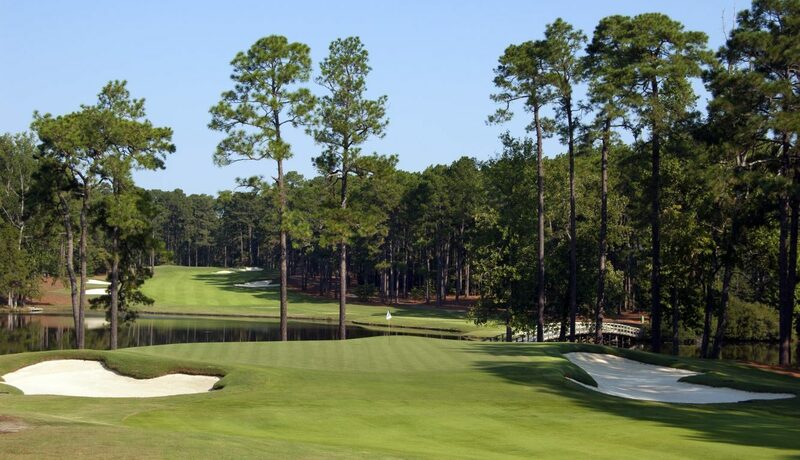 2 — as well as those at Pine Needles, Mid Pines and Southern Pines Country Club. The patriarch of the family was Ellis’s grandfather, James Maples Jr., who was born in Pinehurst in 1856. Three of James’s nine children — Frank and his brothers, Walter and Angus — made at least part of their living in golf course construction and maintenance, and would also spawn sons and grandchildren who have continued the family tradition. Ellis‘s brother, Henson, served as course superintendent at Pinehurst for three decades. At the age of 14, Ellis began working as his father’s assistant greenskeeper at Mid Pines and Pine Needles, where he stayed until his late 20s. His father and Ross instilled upon Ellis most of the lessons that would allow him to later wear nearly every hat in the golf industry — professional, construction project manager, superintendent — until he discovered his true calling and became a leading architect of his era. Ellis served as the pro-manager at New Bern Country Club, where he supervised the redesign of the golf course in 1947. The following year, he moved to Raleigh to oversee construction of Raleigh Country Club, which became the last course Ross would design prior to his death in 1948. Maples held the dual position of head professional and superintendent at Raleigh CC until 1953, when he entered private practice as a golf course architect. Maples approached golf course architecture mindful of the same basic tenets as Ross. He believed that it was the designer’s job to incorporate the most interesting terrain available and uncover the golf course that resided in the land’s structure. His philosophy was to design member-friendly layouts that could be constructed and maintained on a club’s small-town budget. Strategically off the tee and into the greens, Ross’s influence in Maples decision-making process is apparent. However, Maples’ aesthetic style of dramatic, flash-face bunkers differed from Ross and Maples also utilized modern construction equipment — moving considerably more earth in his work especially under the greens. Known as an excellent router of holes, Maples’ strategic school of bunkering provided a degree of favored angles into his typically subtle green complexes. Pinehurst-based golf architect and historian Richard Mandell is an expert on the work of Ross. 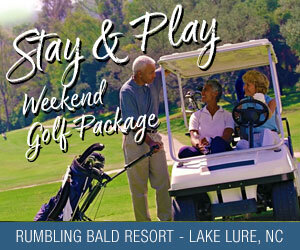 His book “Pinehurst: Home of American Golf” was named International Network Golf Book of the Year in 2007. Mandell originally trained with Ellis’s son, Dan — who took over his father’s design business — and Mandell has renovated several Ellis Maples-designed courses around the state. Maples’ design firm eventually oversaw some 70 course design projects in six different states, most of them in North Carolina, South Carolina, Georgia, Tennessee and the Mid-Atlantic. His most well-known designs in the Tar Heel State are Linville’s Grandfather Golf and Country Club and The Dogwood course at Pinehurst’s Country Club of North Carolina (CCNC) — both perennially ranked among the state’s Top 20 — along with Pinehurst No. 5, Greensboro’s Forest Oaks, Bermuda Run in Clemmons and Brook Valley in Greenville. Among his numerous talents, Maples was also an expert agronomist. He was the first to plant the less heat-tolerant bentgrass on green complexes in North Carolina east of the mountains at Pine Brook Country Club in Winston-Salem, now called Maple Chase Golf and Country Club. Maples, who Seay described as “a remarkable man,” could play, too. He once fired a 62 at Raleigh Country Club. Indeed, if Ross was the king of North Carolina golf course architects, Maples was his worthy heir. And his family lineage dating back to the mid-19th century continues today. Following Ellis’ death in 1984, son Dan took over the family design business. Dan is a past president of the American Society of Golf Course Architects. Another son, Joe, is the retired head professional and superintendent at Boone Golf Club — an Ellis Maples creation — while his other two sons, David and Don, both work in course construction for brother Dan’s company.